Change Your City in 2014! Between current news events and stories we hear from youth pastors in different areas of the country, we are seeing over and over how hurt our students are. Young people are walking the halls of our schools, in our neighborhoods lacking hope and purpose. Many of us that work with students are asking what can be done to really reach these students and see lives changed for the better. One of the greatest problems we have in student ministry is that 85% of our high school and middle school students in the US are NOT involved in church. Students are not walking through our doors, and we are missing a huge opportunity to minister to them. This fact has shook our ministry to the core and caused us to begin to think differently about how we are going to reach these students. Out of this need and burden to reach the lost, ACTIVATE was born. –In every town ACTIVATE has been a part, we have seen 1/3-1/2 of the students we see at the assemblies come back for the night rally and at least 10% of those students make first time decisions to follow Christ! (In smaller towns, that number seems to be bigger) This is a crazy opportunity to see massive amounts of students make new church homes! ACTIVATE has transformed communities that we have been a part of and we are excited to reach new communities in 2013! We would love to talk to you about reaching the students in your area with this innovative program. We want to give you guys a chance at getting an amazing resource that will be useful for your student ministry, a newly released book called “Greater” by Pastor Steven Furtick out of Elevation Church. We had the opportunity to get a sneak peak of this book and the small group material that goes with it. We have some fun giveaways tied with this release and will let you know at the end of this blog how you may get your hands on this. “Greater” dives into the idea that God wants each and every one of us to live a life with the confidence that God wants to accomplish something in us that is beyond what we can imagine for ourselves. Living a “greater” life means looking for opportunities to make your world around you a better place, having a servant’s heart and just being ready to be used by God in amazing ways! We LOVE the premise of this book, and through the ACTIVATE events we do are challenge students into this very kind of living. We have seen students all around the country who are desperate to make positive differences in the world around them, and sadly we have also heard from many of these students that no one has ever told them that they could do anything GREAT. Its heartbreaking to know how many hurting students are out there that just don’t know that they have the ability to have big dreams for their lives. It is our passion to see a generation rising up that is unabashedly going after God’s huge plans for their lives. Its not only students who struggle with dreaming big, we adults have this same problem. We talk to Student Ministers all the time who are settling for a life that is less than what God has for them. The routine sets in. Dealing with church budgets, demands from other staff members, and trying to juggle it all quickly can turn your calling into “just another job”. Awhile back we got an email from a high school teacher that met our team at an ACTIVATE. She teaches at a small school in a town so small that the entire county goes to one school and was ready to stop teaching. In her email, she thanked our team for not only challenging the students to go after the dreams in their lives, but to remind her of her dream of being a teacher and making a difference in her students’ lives. Getting a new perspective on her calling was what she needed to see her job in a whole new way and to pour into the lives of her students. There are a couple things you can win this week! The first giveaway is one copy of “Greater” along with the small group DVD curriculum. To win that, all you need to do is leave a comment on the blog about what your dream is for your student ministry. Whatis your “greater”? We will randomly choose one winner from the comments! 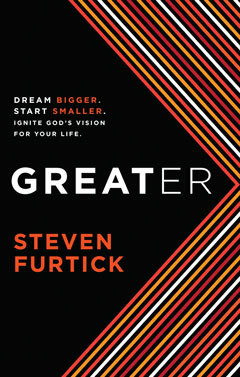 The second giveaway is through our Twitter feed and it is one copy of Greater. Follow us on Twitter @fuselage and we will choose one winner from our new followers. If you don’t follow us yet, please do so and if you are a follower already, please tweet this blog to your followers. Both winners will be chosen next Tuesday, Sept. 11. Looking forward to hearing from you guys! We have gone through some incredible changes at FUSELAGE and invite you to take some time to look around our new home on the web. One major change we want you to be aware of is our latest event…ACTIVATE! We are so thrilled to be a part of this movement of God in cities around the country. With ACTIVATE, we are going into public schools challenging students to have big dreams for their lives. Our public schools are a huge mission field and ACTIVATE opens the door to share Christ with students from all walks of life. You can find more information about ACTIVATE on the events page. FUSELAGE also continues to work alongside you to reach your students. We would love to talk with you about your events and finding the right team to work with you. Good to see Y’all in Nashville. Fall is such a favorite time of year! One reason for that is because we get to reconnect with so many of you in person at National Youth Workers Convention. It is a blast to meet youth pastors that we have been working with on events and build relationships with on the phone or on the road. This year was even better because NYWC was at home for us…in Nashville! 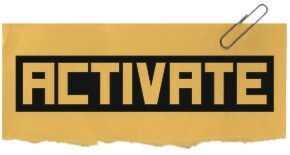 We were also especially excited about this year because we were rolling out our newest event, ACTIVATE. It was amazing to have so many of you guys get excited about this event and embrace it with us. Youth Ministry is at a crossroads and we are really believing that ACTIVATE is our way of answering the call of the Great Commission. We have to take youth ministry to where the students are…in their schools and we are encouraged to have you guys taking that call seriously with us. Needless to say we walked away from the weekend refreshed and encouraged about what lies ahead for this generation of students! Have a great Thanksgiving! There is truly so much to be thankful for. Lufkin ACTIVATE blew us away! There is nothing quite like spending a week ministering to students and seeing over 250 of them begin a new relationship with Christ to top it all off! Terry Weaver, Hearts of Saints and Moses Uvere just returned from a week in Lufkin where their days were spent in front of students in the public schools talking to them about having big dreams for their lives. Each student body was different…from rural to very diverse urban, but the one thing that all those students had in common was that they want their life to count for something. These students were encouraged by the message of ACTIVATE. In each school, there were students that said this was the first time that they had been given permission to dream. At the end of the week we filled up the Lufkin Civic Center with about 2000 students! After some loud rock music and hip hop, Terry shared the gospel and the response was more than we could have ever imagined. Over 250 students with first time decisions and another 150+ filling the “altar area” crying out to God and recommitting their lives. We are so thankful to all the Youth Pastors in Lufkin for all their work to put this week together and for working together to make it happen. God is on the move in Lufkin and we are so honored to be a part of that. Marty Estes, who happens to be one of the coolest Student Pastors I know, was taken by ambulance to the hospital yesterday afternoon. Marty is in the ICU with two HUGE blod clots in his lungs. Marty has been a Student Pastor for the last 8 years in the small town of Adamsville, TN with his awesome wife Erin and their son and daughter. To say that he is overworked and underpaid would be an understatement. This morning, he was lying in the hospital bed stressing about how the medical bills for this stay were going to get paid because his insurance is so bad that there will be a big out of pocket expense. Marty is the poster-child for ministry burnout and it has caught up with him. The second thought on his mind after his family is the students that he serves with his whole heart. There rarely is a night that goes by that there is not students hanging out at his house. I don’t know any student pastor that is pouring as much into “making disciples” as Marty is. The students he serves are why he is in ministry and God is using him in great ways with the students in Adamsville. 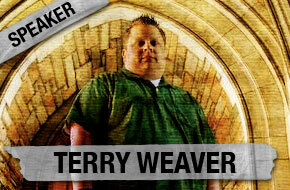 Hearts of Saints and Terry Weaver have been to Adamsville, TN several times ministering alongside Marty. They were there in February and saw tons of students come into relationship with the Son of God. They are planning to head back to Adamsville in the weeks ahead to do a night for Marty and ask community to help with the family’s financial need with these extra medical expenses. So here is what we are asking: would you guys come alongside us and Marty and give big to cover the necessary expenses and all of the money we raise that night can go to bless Marty and his family? We need to cover hotels, meals, some travel expenses, and the cost of the production for the night. We are working out details as we speak to make this work. We are firm believers that the big “C”hurch has to be the hands and feet of the Gospel. We have an amazing opportunity in front of us to make a real difference for a fellow minister. We don’t make it a habit to come to you guys asking for help, but we believe this is a family that could really use all the help we all can give. Would you please click this link to give whatever you can. Thank you! We can’t wait to let you all know what your gift will mean to Marty and his family. What an amazing night in Adamsville! The people of this town came out in full force to show their love and support for Marty. God blew this family away with doing what only He can do…going above and beyond. On the financial side, through the gifts from students and adults and other provisions Marty’s medical bills are not only paid but he has a fund that will pay the follow up visits that he has to take. AMAZING!!! The night was also great because we saw even more students in this town begin a relationship with Christ. Based on Vigilance. Modified by Ben Stewart. Hosted by eleven2.